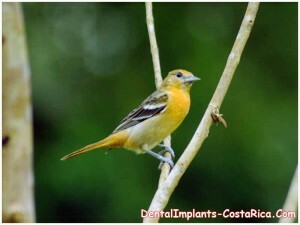 Full mouth restoration in Costa Rica can help one repair chipped and broken teeth and get proper bite alignment at a fraction of what the reconstructive procedure costs in the US and Canada. SAVE UP TO 70% ON COMPLETE SMILE MAKEOVER IN SAN JOSE, COSTA RICA. Contact us for FREE Pricing! Full mouth restoration with dental implants and fixed bridges is among the various dental vacation packages available in the country. *Prices are subject to change without prior notice. Please fill-out the estimate-request form on the right to know the latest in full mouth restoration prices. 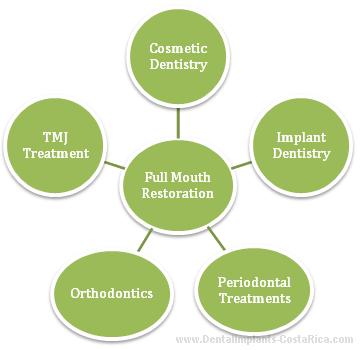 What Does All Teeth Restoration Package Include? Full mouth restoration in Costa Rica can be a pocket friendly solution to curtail deterioration of teeth and to restore the jaws to their optimum position. Read on to know why you should choose us! Apart from dental treatment, visit the countryfor its picturesque beauty and beaches. Check out this 2016 article published in the Telegraph which outlines 29 reasons to visit CR. Those interested in traveling to Costa Rica for dental work may start making plans of a rejuvenating holiday in the warm atmosphere of Latin American. Just imagine – you can recover from your whole mouth rehabilitation in this medical hub while basking in the warm beaches. Assistance with prescriptions, medical records and follow-up scheduling – our cosmetic dentist in Costa Rica talks about follow-up and care after the dental work. Fill our QUOTE FORM and reach us in three easy steps. 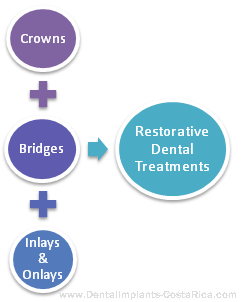 Dental Crowns or caps are used for restoration purposes after a root canal treatment or dental implant. 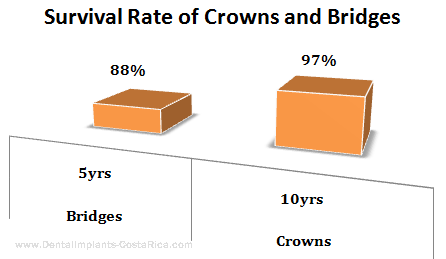 A dental crown is placed over a tooth and it helps restore the shape and size along with improving its appearance. 1. Provides support to a tooth’s structure. 2. Improves the overall bite. 3. Holds a dental bridge in place. A bridge is designed to provide additional support for teeth or implants. It is made up of two or more crowns. 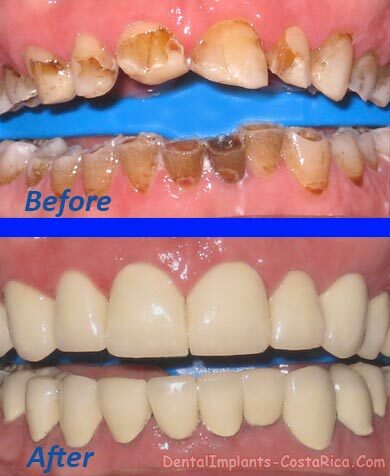 They restore areas of the mouth where teeth have been extracted. 1. Restores the natural bite. 2. Can be anchored to existing teeth or an implant. 3. Equally distributes the pressure. 4. Prevents drifting of the remaining teeth. Studies have found an 88% 5-year survival rate3. A dental implant fuses with the jawbone to support a dental bridge or a crown. It is a replacement tooth root that is embedded into the jawbone. Implants are best suited for the edentulous or for people with multiple missing teeth. Complete mouth rehabilitation can be done through All-on-4 Implants or All-on-6 and 8 Implants. Read on to find out the difference between the two. The All-on-4 dental implant procedure is recommended for people who are edentulous or those who wear dentures and in need of full upper and/or lower restorations.The procedure utilizes four implants per dental arch. The All-on-6 implant technique uses six implants placed in areas of the mouth with the highest bone volume. *Prices are subject to change. Please fill out the Estimate Form for an exact FREE quote. 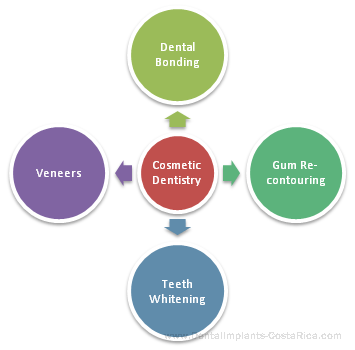 Teeth whitening is a common process involving bleaching the discolored teeth to get brighter and whiter ones. Teeth whitening can be achieved by using toothpastes, over-the-counter gels, rinses and strips. Teeth whitening can be achieved by using toothpastes, over-the-counter gels, rinses and strips. It isn’t always necessary to go to a dentist for this procedure. However, professional teeth whitening is much more effective, safe and longer lasting! It corrects problems involving the temporomandibular joints (TMJs) and the bite. The temporomandibular joint connects your jawbone and skull and any problem with it can cause headaches and pains during jaw movement. Orthodontic treatments are concerned with improper bite and misaligned teeth. Its treatment includes metal braces, spacers and retainers. Other complex treatments involve Orthognathic surgery for the jaw. Sana A. Ghannam and colleagues studied the motive behind the surgery and found esthetic improvement is a major cause for patients seeking Orthognathic Surgery6. 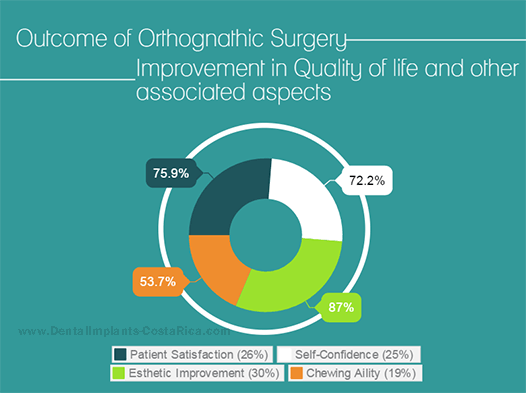 According to the research there has been a significant improvement in quality of life, self-confidence and chewing functions of the patients who underwent Orthognathic Surgery. This form of treatment is given to patients who have damaged soft tissues and bone that support the tooth. Also known as gum disease, it may progress to the bone and result in tooth loss. It is a process which removes plaque and tartar from the tooth surface. If scaling is not performed it may lead to loosening of gums and tooth loss. A routine periodontal check at every 6 months is recommended. Periodontal surgery is a surgical procedure to restore functions of damaged tissues and periodontal structures which support the teeth. The surgery helps clean the deep pockets to prevent any further damage to mouth and gums. 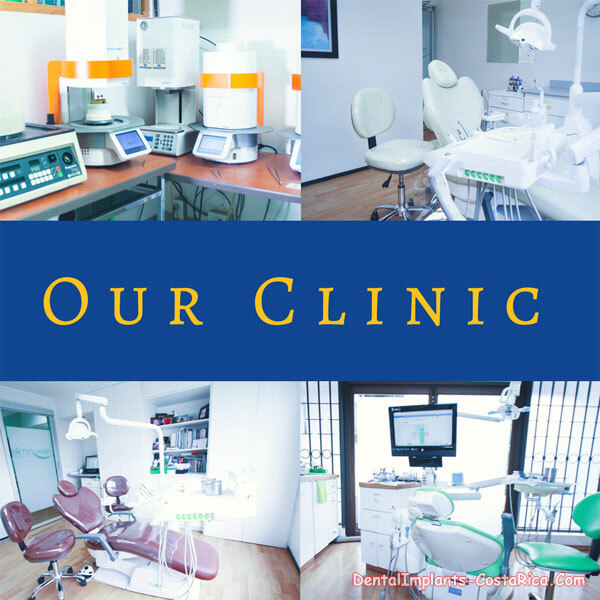 Constant focus on quality and patient centered care is our focus at our dental center in San Jose. We use state of the art equipment to ensure outstanding treatment for our patients undergoing full mouth reconstruction in Costa Rica. Don Schwass, Karl M Lyons and David G Purton. Sir John Walsh Research Institute, Department of Oral Rehabilitation, The University of Otago. The New Zealand dental journal 09/2013;109(3):98-105 https://www.researchgate.net/publication/256538955_How_long_will_it_last_The_expected_longevity_of_prosthodontic_and_restorative_treatment Accessed 4 Dec. 2017. Malo Clinic Lisbon, Lisboa, Portugal. Journal of the American Dental Association (1939) (Impact Factor: 2.01). 03/2011; 142(3):310-20. 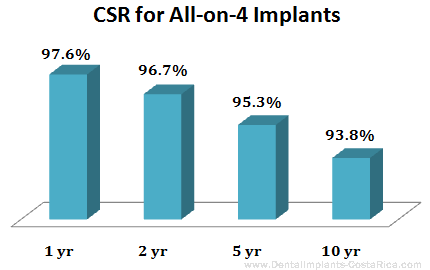 DOI: 10.14219/jada.archive.2011.0170 Source: PubMedhttps://www.researchgate.net/publication/50226966_A_Longitudinal_study_of_the_survival_of_All-on-Four_implants_in_the_mandible_with_up_to_10_years_of_follow-up Accessed 4 Dec. 2017. Department of Periodontology, Dental Faculty, University of Strasbourg, Strasbourg, France. Clinical Oral Implants Research (Impact Factor: 3.89). 07/2010; 21(7):772-7. DOI: 10.1111/j.1600-0501.2010.01912.x Source: PubMed https://www.researchgate.net/publication/45269218_Long-term_implant_survival_and_success_a_10-16-year_follow-up_of_non-submerged_dental_implants_Clin_Oral_Implants_Res Accessed 4 Dec. 2017. Perception of Outcome After Orthognathic Surgery at Jordan University Hospital. Sana A. Ghannam, Ziad A. H. Malkawi, Faleh A. Sawair, Zaid H. Baqain https://www.researchgate.net/publication/259573900_Perception_of_Outcome_After_Orthognathic_Surgery_at_Jordan_University_Hospital Accessed 4Dec. 2017.